And she&apos;s also a Miss Philippines Maxim cover model. 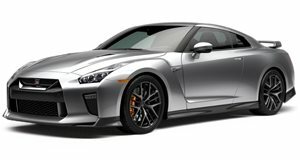 The combination of a 1300hp Nissan GT-R and a super model just sounds down right perfect. We weren&apos;t the only ones to think this, as the people over at High Tech Corvette produced this video showing the dynamic duo in a little over three minute thrill ride. Although she&apos;s holding on to the door for a good part of the time, it&apos;s clear that Miss Philippines is enjoying herself. We can&apos;t blame her especially as the car goes over 140mph. Towards the end of the video, she&apos;s also game to take on another driver who wants to race. Our type of lady.